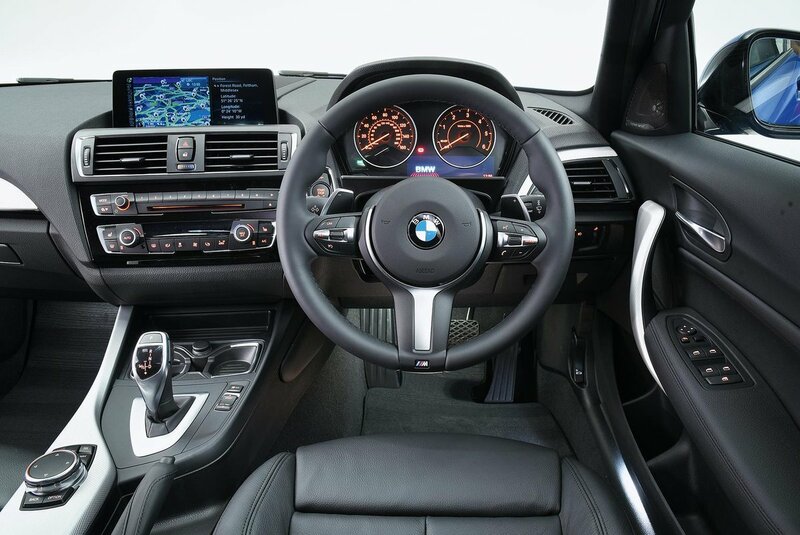 BMW 1 Series Interior, Sat Nav, Dashboard | What Car? The driver’s seat is mounted low, so tall drivers will have plenty of head room and the standard seats have a reasonable amount of adjustment. 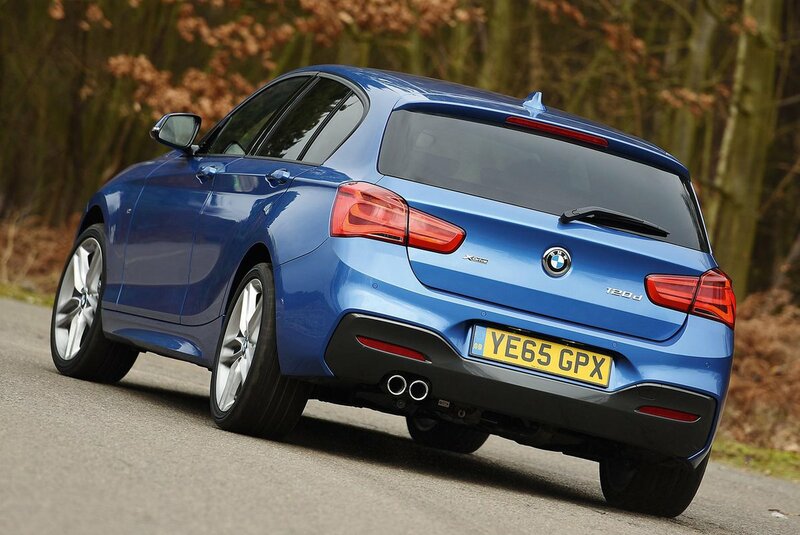 However, the 1 Series is not the easiest family hatch to get comfortable in. You have to pull a plastic lever to shift the backrest and the clunky movement can make small adjustments quite tricky. More frustrating is the height adjustment, which requires you to pull a lever and either lift your weight off the seat to allow it to rise or put more pressure on it to drop it. The pedals are offset to the right, too, forcing you to sit at an awkward angle. It’s also frustrating that adjustable lumbar costs extra on most models. A Ford Focus and Audi A3 offer a more natural seating position. Still, the centre console is tilted towards the driver, making the minimal array of buttons easier to reach, and the iDrive controller is next to the gearlever, where your hand naturally rests. The view out of the front is excellent and, although the bonnet drops away, it’s easy enough to judge where the front wheels are when you’re threading it through traffic. A small rear window and relatively thick pillars mean that the over-the-shoulder view is a bit restricted, though, particularly when joining the motorway, leaving all-round visibility less impressive than its boxier A3 and Volkswagen Golf rivals. Parking sensors and a reversing camera are both on the options list and are reasonably priced. LED headlights are standard on SE Business and M Sport trims, as well as the M140i, while adaptive LED headlights are available as an option throughout the range. Every car in the 1 Series range has a standard 6.5in colour screen, mounted on top of the centre console. It’s controlled via the iDrive system, which is one of the most intuitive and user-friendly interfaces around. There is a large rotary control wheel near the gearstick, with simple shortcut buttons for all the major functions. The graphics are slick and the menus only take a moment to get your head around. Bluetooth and audio streaming, a single CD player, a DAB digital radio, a multi-function steering wheel and USB connection are all standard. You also get sat-nav with real-time traffic updates on every trim. A larger 8.8in display screen with mobile internet services, plus a 12GB music hard drive, is offered as part of the BMW Professional package, while music lovers should think about the excellent 10-speaker Harman Kardon stereo upgrade; it is one of the better-sounding systems in the class. Fit and finish in the 1 Series is decent considering this class spans such a varied price spectrum. There’s a nice mixture of brushed metal and gloss black surfaces in higher-spec cars, and the plastics on the upper surfaces in all versions look and feel good. 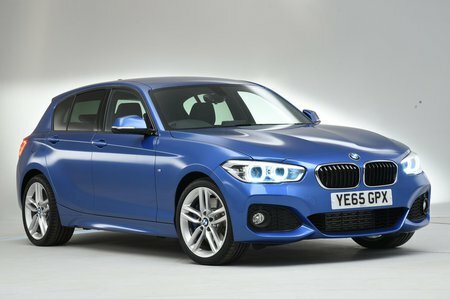 However, if you’re comparing the 1 Series directly with other premium cars, including the A3 and even the Golf, the appearance of the harder plastics low down the interior and the robustness of some of its trims feel below par; press the heater control panel, for example, and the whole thing bends. And if you want the most spectacular-looking interior in the class to wow your passengers with, the Mercedes-Benz A-Class is the car for you.